life‘s a Journey... enjoy the Glide! fORT wORTH’S LEADING DESTINATION FOR STANDUP PADDLE LESSONS, rENTALS, AND GEAR. 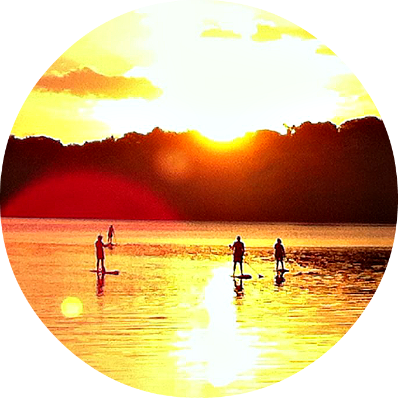 Sunset Paddle – What a great way to unwind with a tranquil paddle into the Sunset. Perfect for a romantic date night or just relaxing with some friends. Full Moon Paddle – Being on the water at night with the full moon as your light is truly magical. Come experience the sights & sounds and enjoy the glide on Lake Worth under moonlight! Get on Board with an hourly session at Lakeside Paddle. 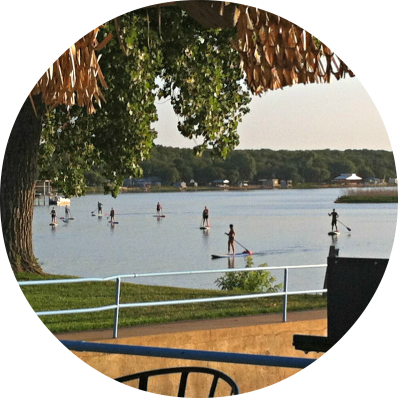 All participants are required to complete the PaddleFit Basic (Intro to SUP) class or have Standup Paddle experience to go out of our lagoon and onto the open water areas of the lake. At Lakeside Paddle we care about your safety! First time paddlers can paddle the Lagoon without a class. SUP Basics (Intro to SUP) – Our introductory class will focus on introducing you to the sport of stand up paddling (SUP) in a fun and safe manner. We will teach you the fundamentals as well as proper safety and this will be the foundation for your future paddling adventures. PaddlefIt TECH - PaddleFit TECH is our paddling technique class and your first step in developing proper technique. Learning proper technique is beneficial for many reasons including increased performance, injury prevention and enhancing your enjoyment of SUP. During the hour lesson you will learn proper paddling fundamentals. Our coach will introduce you to our technique progression and work with you to make the appropriate corrections to get you on the path to paddling better. No matter where you are on your SUP journey we will help you get on the path to paddling properly. Born in the sea and crafted by master shaper Mark Raaphorst, the award winning SIC Maui line up is the finest available. The new SIC Maui 2019 Collection offers some exciting new shapes and designs, breaking away from traditional SIC aesthetics. From a brand whose claim to fame has been solid colors, straight lines, and heavy on premium race boards, their 2019 range mixes things up with beautiful graphics and colors on all new surf, touring, and all-around models accommodating a wide range of paddling styles and budgets. Not sure what gear is right for you? We're here to help! Give us a call at 682-710-2985 and let our expert staff give you a personalized experience and quote from our full line of SIC Products.